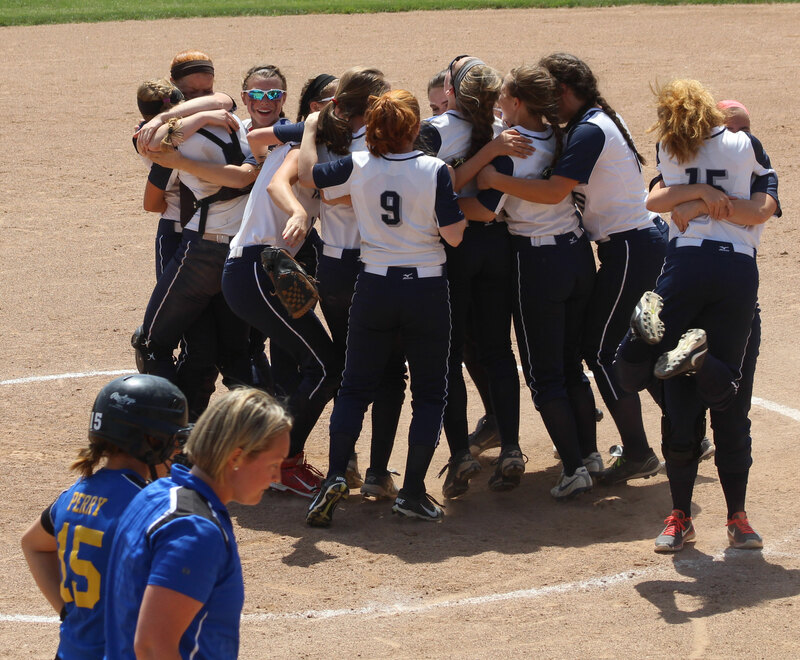 (Standish ME) Plenty went right for the Yarmouth Clippers as they defeated the defending champion Hermon Hawks, 7-5, to take the Class B softball title at St. Joseph’s College on Saturday afternoon. 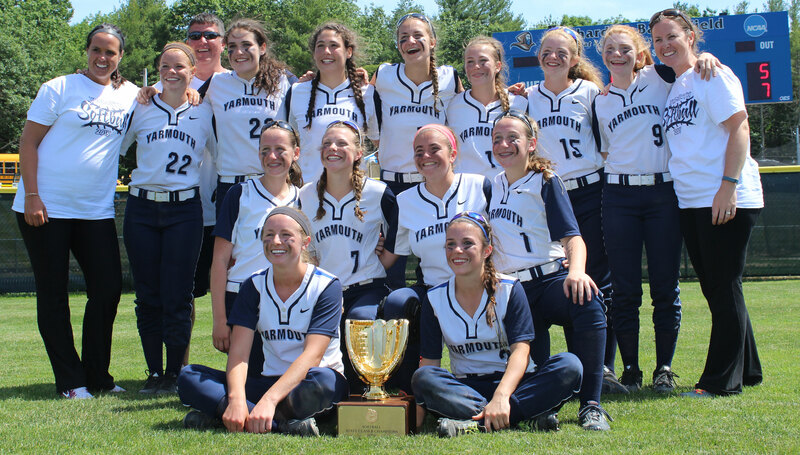 Yarmouth (17-3) wins its first Class B title while Hermon (17-3) falls short on a title defense. Yarmouth took the lead in the second inning and never trailed. Hermon was within one (4-3) in the 4th and had two runs in with a runner on second with one out in the bottom of the seventh trailing 7-5. Yarmouth, however, turned a double play to end the game. There were plenty of big plays for the Clippers but if you’re looking for a key player it would have to be junior Colleen Sullivan. The YHS centerfielder had three hits out of the 9th spot and drove in four runs including the winning run in the 5th inning. Mari Cooper collected the complete-game win for the Clippers. The scary moment for Clippers Nation was the liner off the bat of Hailey Perry that caught Mari on her right index finger ending the Hermon 5th. The injury effected Mari’s control over the final two innings (3 walks) but Yarmouth’s 4-run cushion after five innings (7-3) was too much for the Hawks to overcome. 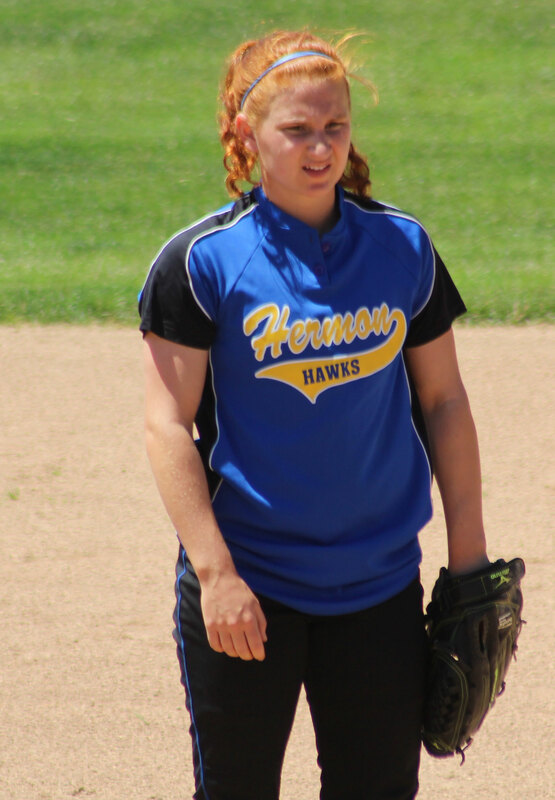 Karli Theberge of Hermon surrendered twelve hits but had eight strikeouts. At the bat, the talented junior had two hits and scored two of Hermon’s runs. 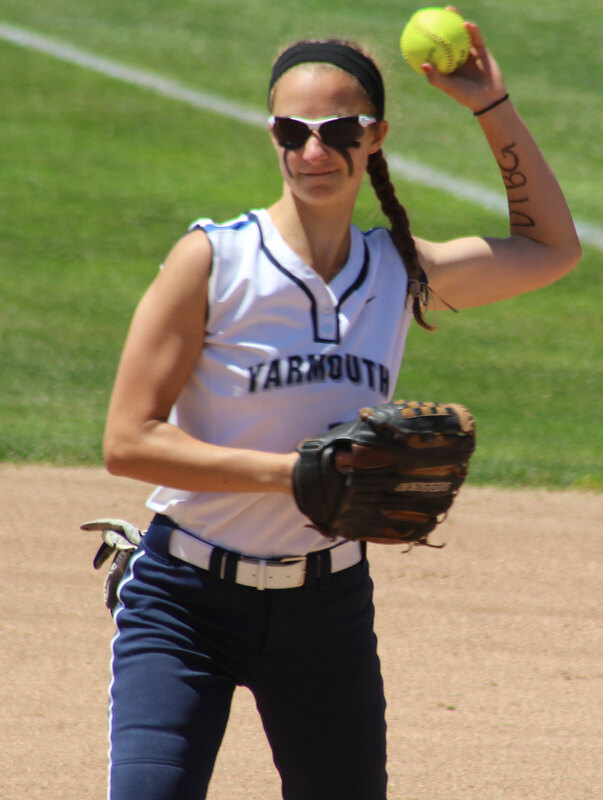 Kallie Hutchinson, Cat Thompson, and Eleanor O’Gorman each had two hits for Yarmouth. 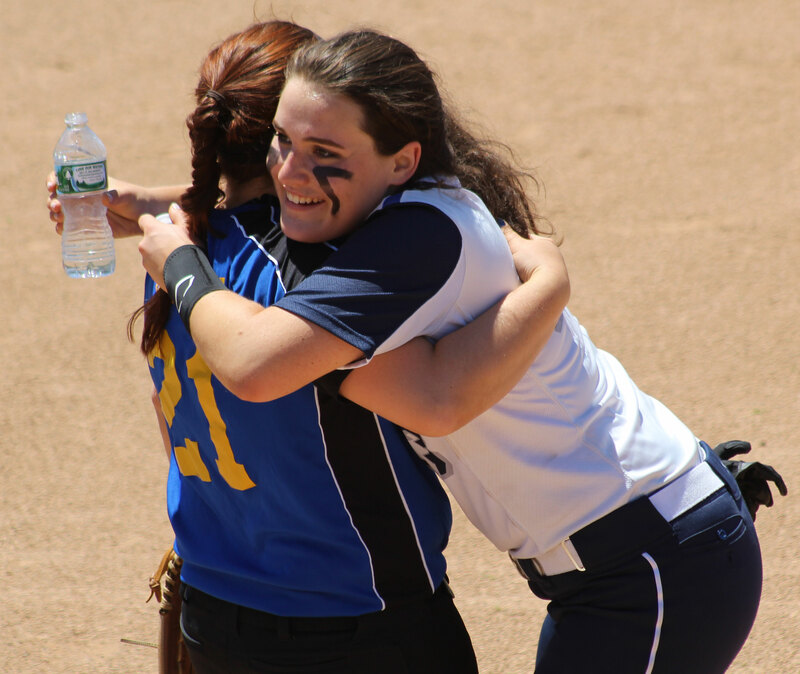 Kallie and Cat also scored two runs for the 2015 state champs. 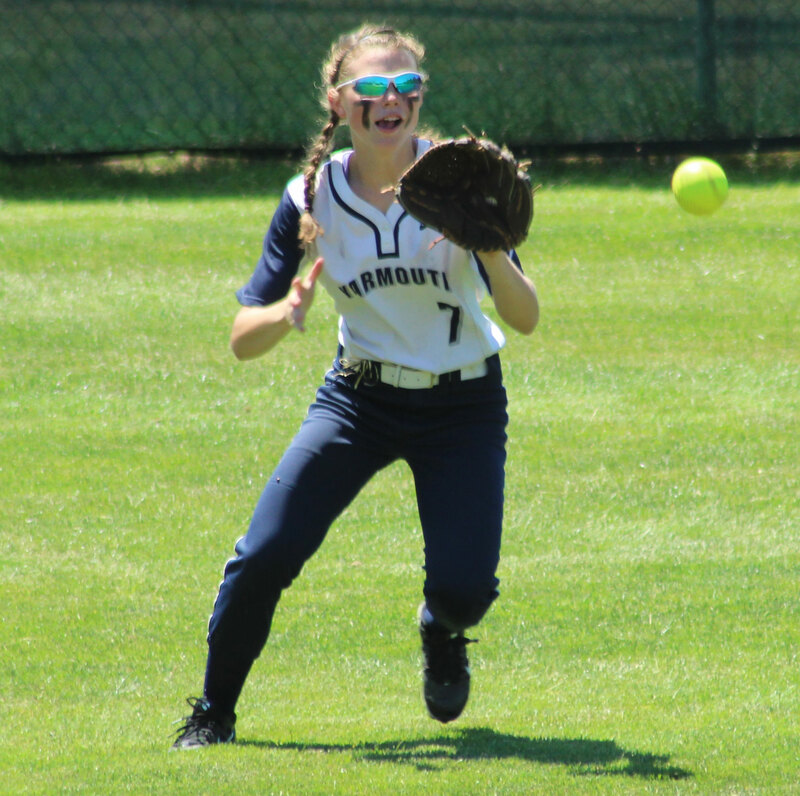 I wondered early if it might be Yarmouth’s day after Kylie Kennedy ripped a first-inning liner to right that freshman Sophie McGrath was positioned perfectly for. Assistant YHS coach Richard Ashley had just positioned Sophie closer to the line and that was exactly where she needed to be to get Kylie’s laser. The Clippers got their first run in the second inning. 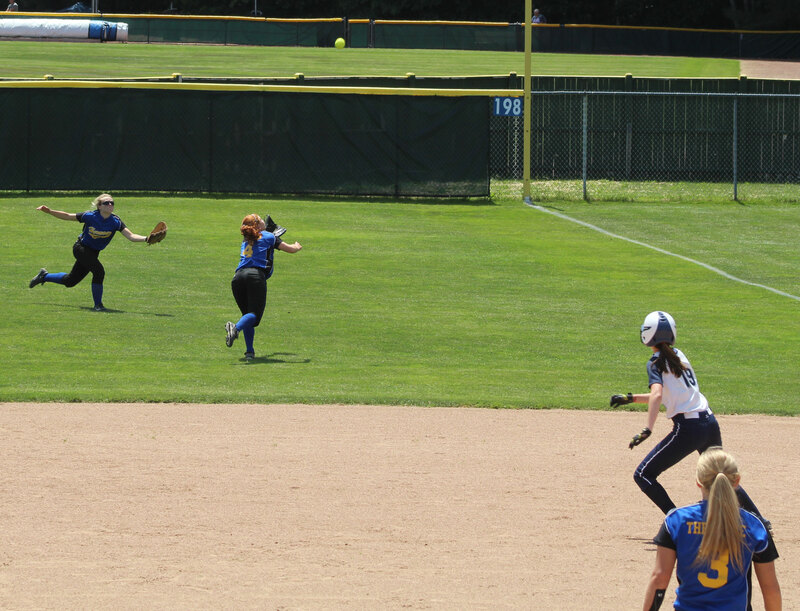 Eleanor O’Gorman reached on a flair over shortstop that Hermon’s Emily Perley nearly caught. Cate Ralph was hit by a pitch and Sydney St. Pierre’s attempted sacrifice bunt turned into a successful bunt hit. That loaded the bases. 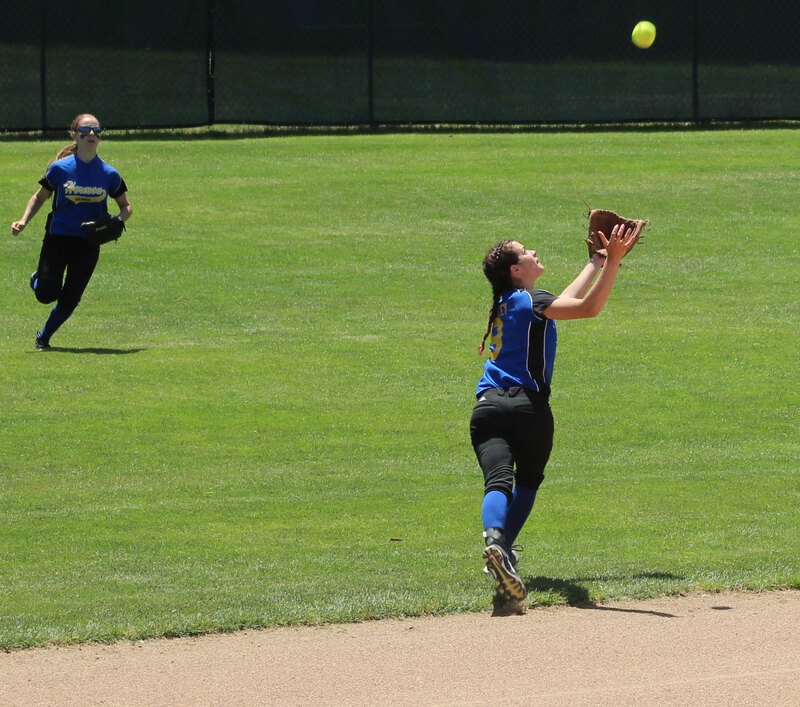 Colleen Sullivan then hit a blooper down the rightfield line that scored Eleanor O’Gorman. 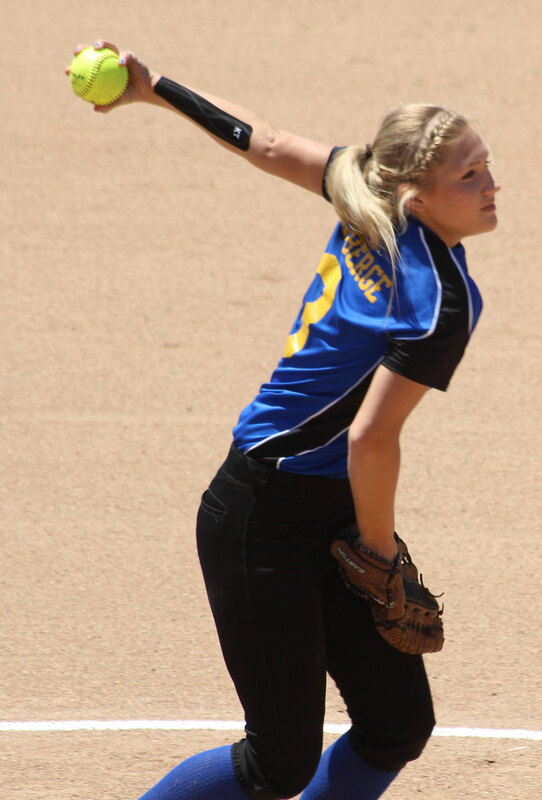 HHS pitcher Karli Theberge retired the next two batters (Andrea St. Pierre & Kallie Hutchinson) to limit the damage. The Clippers would add three more runs in the third inning. Cat Thompson flaired a hit into short left with one out. The Hawks tried for a force play at second on Eleanor O’Gorman’s grounder back to Karli but 2B Claire Petersen dropped the throw. That drop proved costly. Cate Ralph singled up the middle bringing home Cat Thompson. The runners moved up on the throw to the plate. Sydney St. Pierre walked loading the bases with two outs. Colleen Sullivan delivered two more runs with a long single into the gap in left. 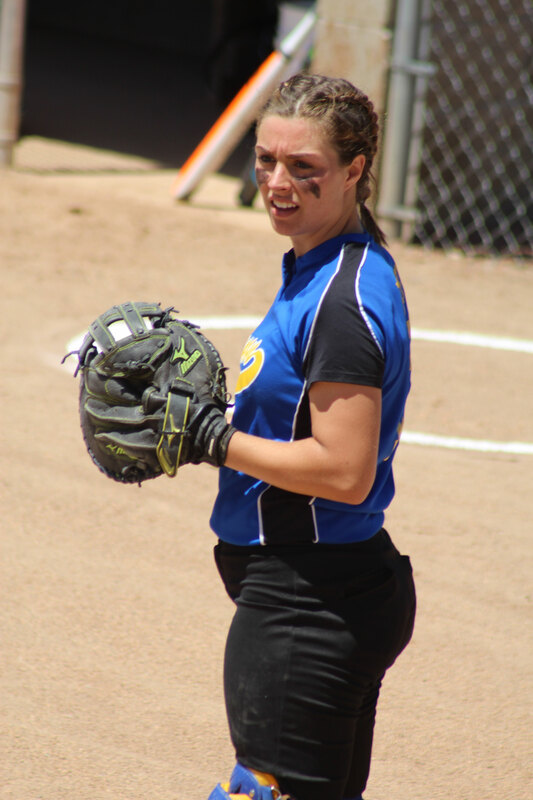 Karli K’d Andrea St. Pierre to hold the damage to three runs. Now down 4-0, the Hawks put three runs together in their half of the 4th inning. After a single by Karli Theberge, Hailey Perry reached on Cat Thompson’s bobble. 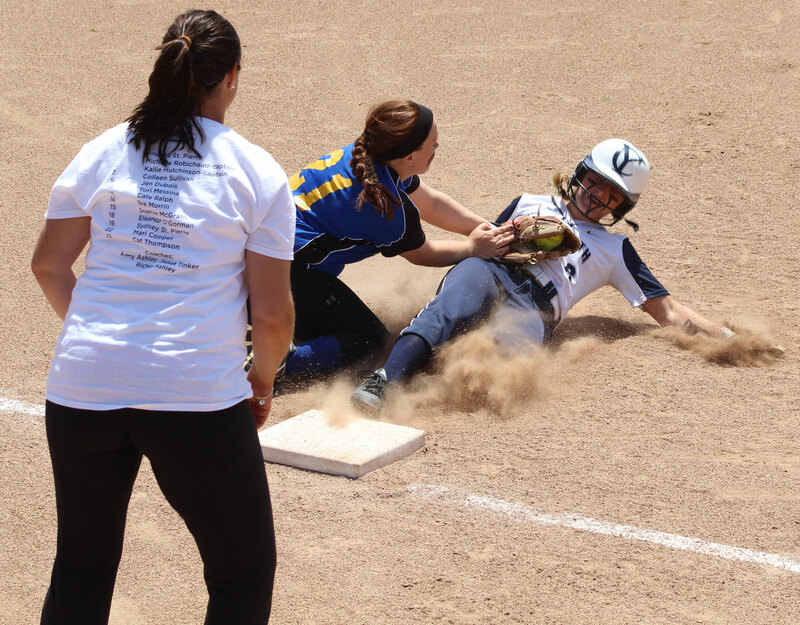 Kylie Kennedy singled to CF driving in Karli and the runners moved up on the throw home. Sydney Addessi’s sac fly to center tallied Hailey Perry. 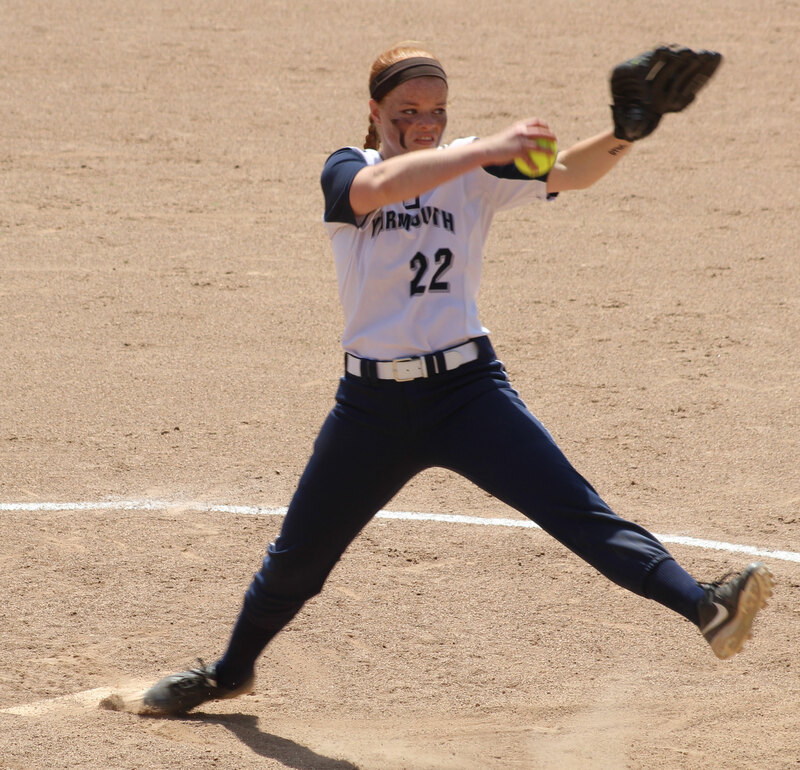 Katie Windsor hit a two-strike single to right scoring pinchrunner Laura Zenk. Big moment alert! With three runs already in, pitcher Mari Cooper K’d both Emily Perley and Deanna Phipps to get out of the inning. With their lead slimmed to 4-3, Yarmouth got a run back in their half of the 4th. After Kallie Hutchinson was thrown out trying to stretch a double into a triple (nice throw LF Jaelen Albert) Cat Thompson singled to CF with two outs. 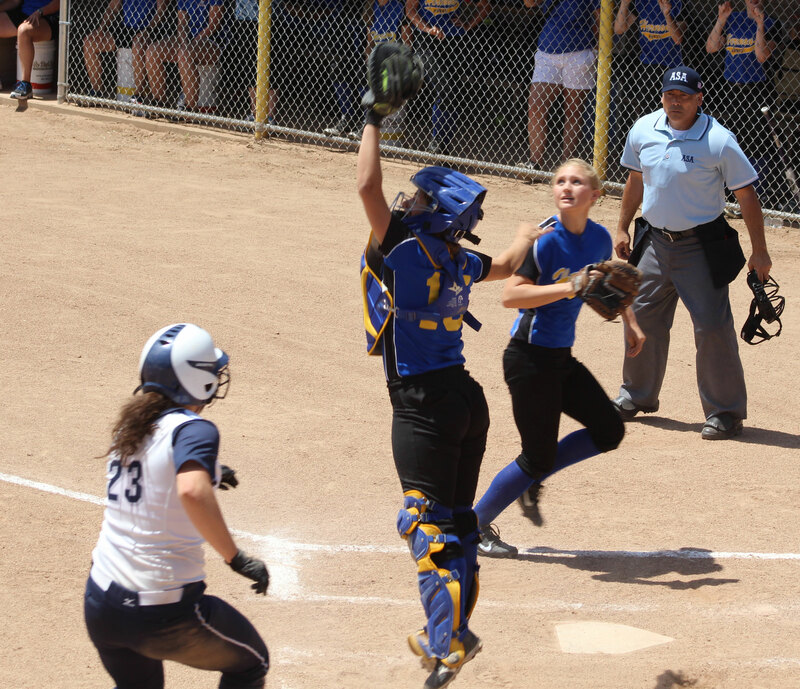 Cat took second when a pickoff throw from HHS catcher Hailey Perry bounced off 1B Sydney Addessi’s glove. 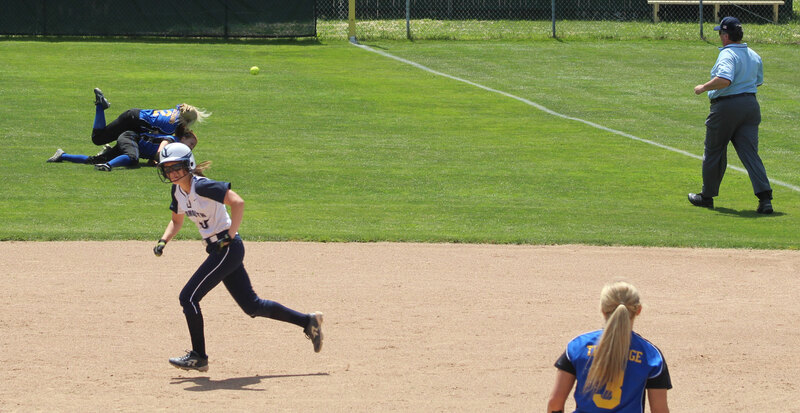 Eleanor O’Gorman made Hermon pay for the miscue by doubling to right bringing Cat home with Yarmouth’s 5th run. 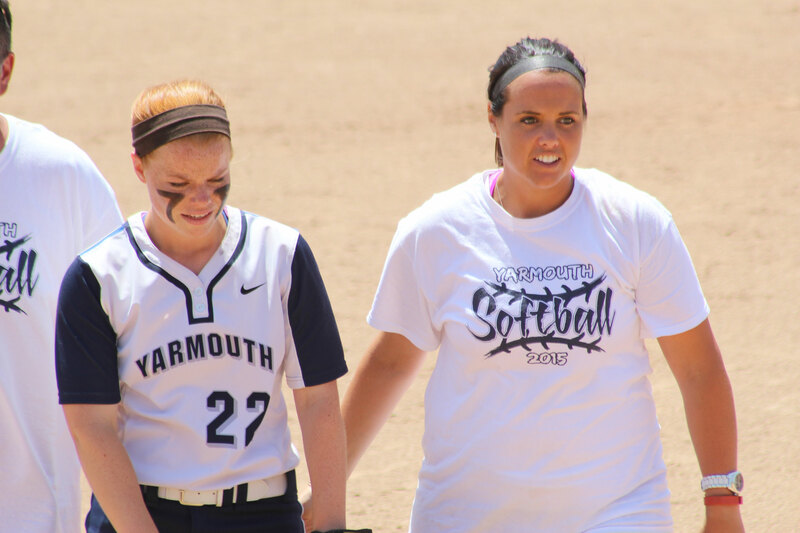 Yarmouth enlarged their cushion in the fifth inning by two more runs. Sydney St. Pierre reached on 3B Kylie Kennedy’s error. Colleen Sullivan’s fly ball into right fell in between RF Lexey MacManus and 2B Claire Petersen and the two fielders collided. 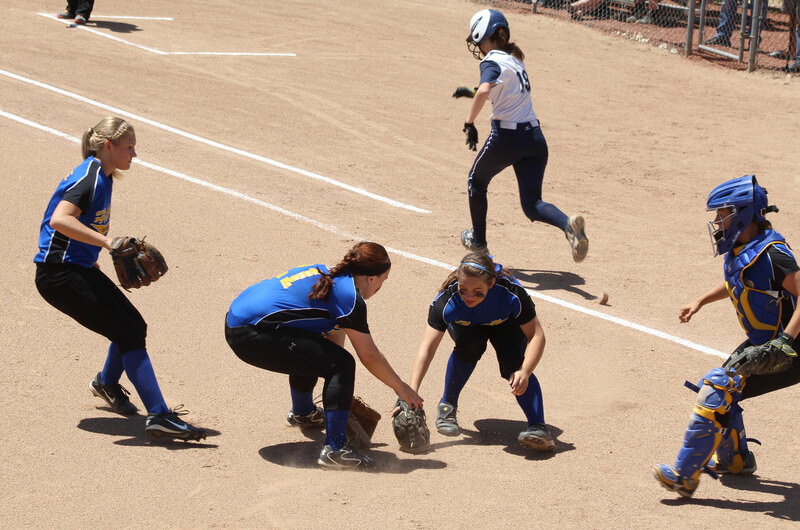 By the time Lexey got up to chase down the ball Sydney had scored from first and Colleen was on third. 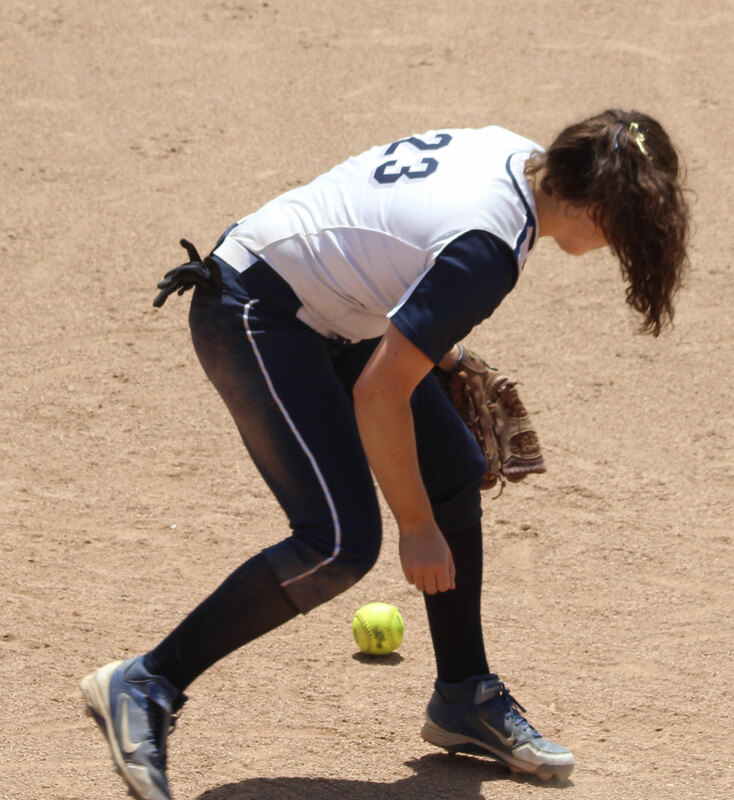 Kallie Hutchinson beat out a two-out infield grounder to deep short that brought Colleen home. 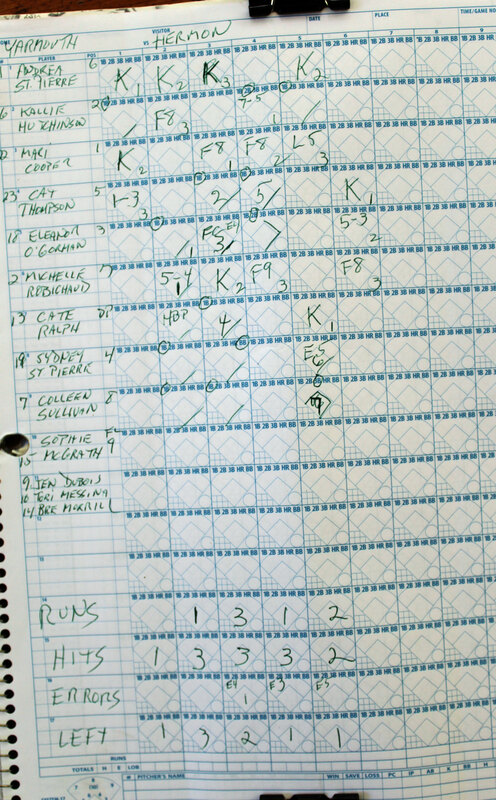 Those two “extra” runs became crucial in the final inning. The Hawks’ Lexey MacManus reached on 3B Cat Thompson’s bad throw. 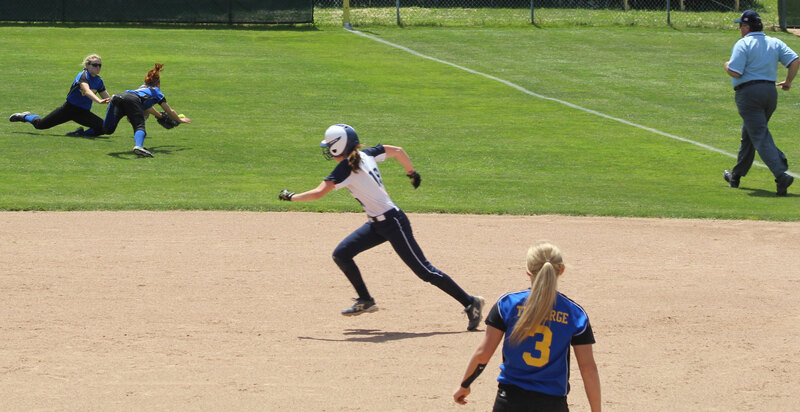 Later Karli Theberge walked to put runners on 1B and 2B with one out. Hailey Perry brought them both in with a loud double in the LF/CF gap. Now down two (7-5) with one out and a runner (Hailey Perry) on second things were set for a tense ending. 2B Sydney St. Pierre raced in to catch Kylie Kennedy’s bloop and was able to flip to her sister (Andrea) to catch Hailey who had broken toward third to end the game. The press box was an excellent spot to view the game from. Weather was excellent…….70’s with an occasional breeze. 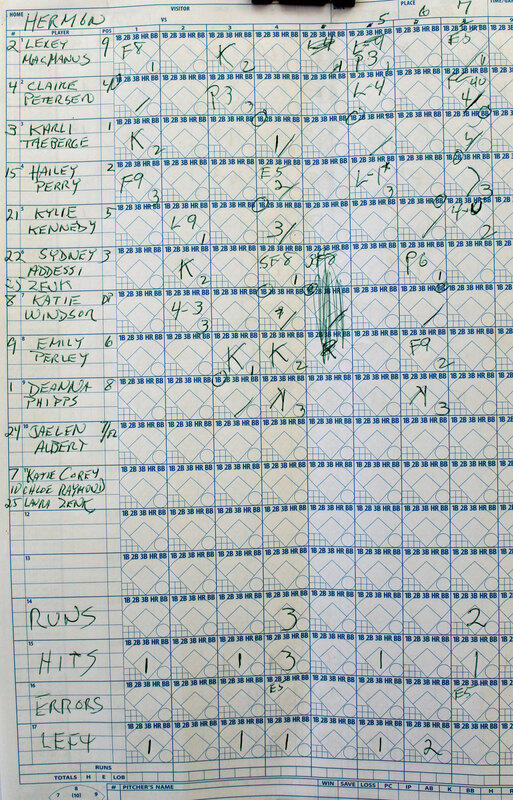 I had a number of mess-ups in my scorebook. That’s one of the reasons I do a recording of the game as well.